In less than 15 minutes, you'll be bouncing and jumping to the beat of the music. 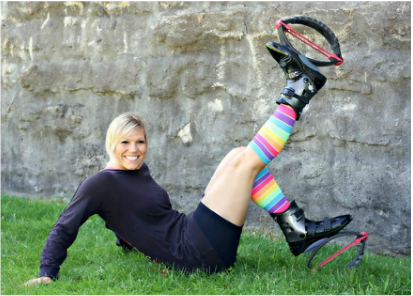 Whether you are a seasoned weekend warrior or are just beginning to get your exercise routine started, these boots make the whole process easy and safe in an unmatched feeling of LIGHTNESS, POWER and THRILL. They will not only train and strengthen your core, legs and glutes, but they are the most exciting exercise concept around. Have fun while getting in shape!